The basketball teams started invitational tournaments this past weekend, with all three teams in action. Rocky View League action starts this week. 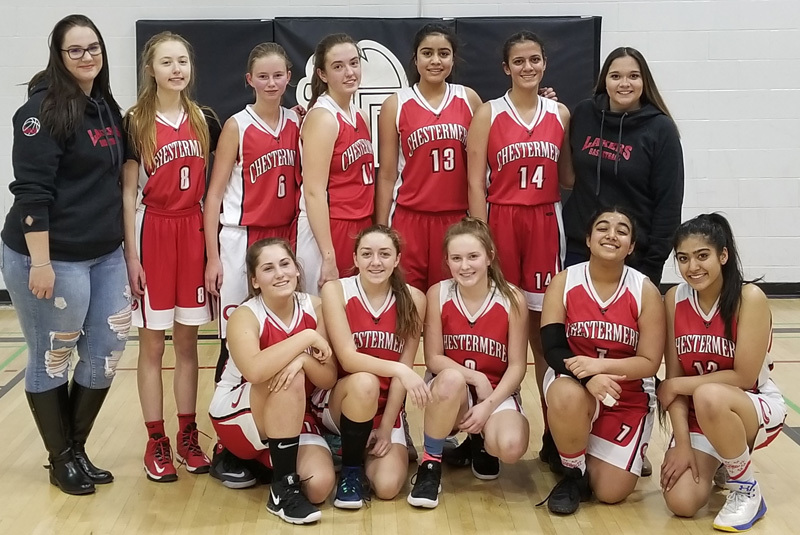 The JV Girls Basketball kicked off their season at a 4A tournament, hosted at John G. Diefenbaker, this past weekend. The girls worked hard and came out of the tournament with a bronze. They won their first game, lost their second and then won the third-place game. The girls gained confidence and made Coach Sheen and Coach Kaylee proud. They are taking that confidence into their first League game this coming Wednesday as the Lakers host the always tough Cochrane Cobras. The Senior Girls basketball team returned to the court this past weekend. With only 1 returning player from last years team, this will be a year of learning to play the game at the senior level. The Lakers opened the District 4 tournament against the eventual champion Semiahmoo Secondary from Surrey, BC. The Lakers were no match for the talented Totems. With a short break before their next game, the girls took on Father Lacombe. The game was played in front of a big crowd, which brought a great atmosphere for both teams. Unfortunately, the Lakers fell to Father Lacombe 55-43. Hannah Merhi led the team with 13 points, followed by her sister, Jenna, with 9. In the final game, Chestermere took on Notre Dame. The games was very close with the Lakers having a chance to tie the game on a final shot, but ended up losing 41-39. Kiah Isbister led all players with 15 points and had 3 three pointers. Morgan Wakeford was named a tournament all-star for her overall great play on the weekend. The Lakers will host the tough Cochrane Cobras on Wednesday, Dec 5th at 7:45. I was given the wrong date for the windup football awards night, last week. It will take place on Monday, December 10th. Details and award winners will be in next week’s article. A committee of 12 people have been meeting, the past year, to look at raising funds for an upgrade to the athletic field. This will include the installation of field turf, replacement of the current spotters box/ equipment area and construction of a club house. This project will benefit the school, as well as the community. If you would like a copy of the sponsorship/ information package please email me and I will send you a copy. To make this project successful we will need a great deal of community support.